New recognition for Delphina from Trivago which has nominated the Resort Valle dell’Erica the best beachfront hotel in Sardinia. 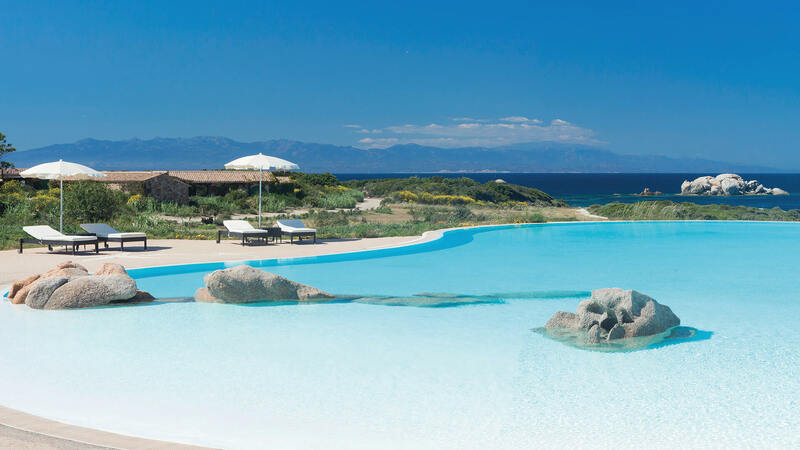 This time we’re celebrating the Resort Valle dell’Erica, our 5 star resort at Santa Teresa Gallura, elected by Trivago as the best beachfront hotel in Sardinia. The well-known search engine, which compares hotel prices around the world, selected the best hotel from each region of Italy in which comfort and excellent service match the uniqueness and beauty of nature for an unforgettable holiday by the sea. All this is thanks to the reviews of our guests who have experienced the Resort Valle dell'Erica: they relaxed on the Licciola beach or in one of the little bays along the delightful 1. 5 km long stretch of coast that surrounds the resort; they were enchanted by the beauty of the islands of the La Maddalena Archipelago, right there in front of the Resort. They delighted in the typical tastes and flavours of this part of Sardinia toasting them with a fine glass of Vermentino; they relaxed in the Thalasso Centre & Spa or watched their children play and have fun with new friends. Because the Resort Valle dell’Erica is all this and much more besides… .